Note: Not to be confused with ‘Lucid Dreaming’. When *going out* of your material body, after the return, the courage becomes so great that you can tread on things that can take the life of a materialist. In layman’s terms, Astral Projection refers to an ‘out of body’ experience a.k.a. O.B.E. During said experience, the astral body of a person leaves the physical body in order to travel to the astral plane which is a separate dimension. The concept of an Astral body was originally devised by Plato, who said that the human comprised of ‘a mortal body, immortal rational and an interposed spirit’. Hence, the Astral body has come to be understood as a median between the rational soul and the physical body. The word Astral in the literal sense means ‘of the stars’ which further defines the Astral Plane as an astrological spectacle comprising of various extraterrestrial spheres. Astral projections have also often been associated with near death experiences. It is believed that in a near-death situation, a person can actually see his body lying before him, completely dead or nearly dead, separate from himself. The other type of near-death experience is wherein an individual is said to be moving towards a bright light which signifies heaven or a sort of afterlife. While it is true that experiences like these are difficult to take seriously and are dismissed as mere hallucinations most of the times, it has been proven that both, the sensation of movement and the bright light can be triggered by the function of neurons in some parts of the brain. 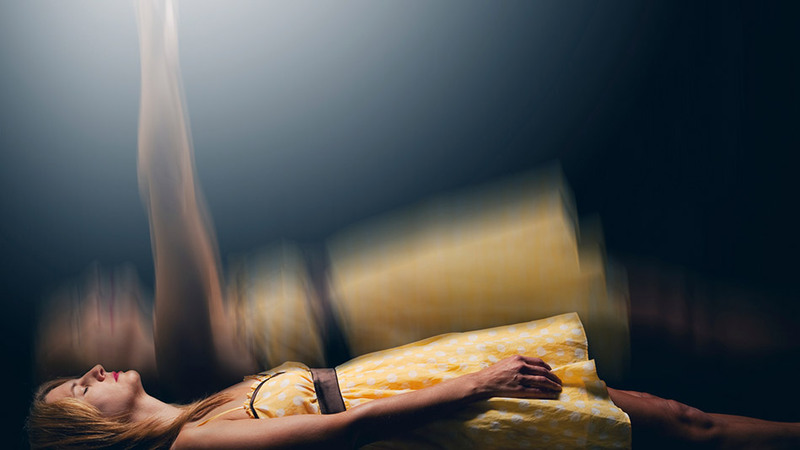 So, what exactly happens during an Astral Projection? During an astral projection, you are essentially creating a reality by means of thought projection or in other terms, consciousness wherein your rational or conscious mind separates itself from your physical body in order to travel to the astral plane. During this mechanism, your conscious mind is, however, still connected to your physical body through a kind of ‘silver umbilical cord’ which some people even manage to ‘see’ while they are astral projecting. This state of astral travel or out of body experience can be achieved while you’re awake, through deep mediation as well as through what is commonly known as lucid dreaming. The glitch here, however, is that since it is often believed that the astral body is contained by the subconscious mind, one may not remember most of the dreams consciously subjecting the entire concept of astral projection to subjectivity. There is no ‘one’ particular way or method that an individual can use to astral project. It can be achieved through deep and sincere meditation, through pivoted or concentrated breathing or, in some cases, even just the sheer will and ability to detach one’s soul from their physical body. What you have to keep in mind during the process is that a) it does not happen easily or even immediately, for that matter; b) you have to figure out the technique that works best for you to be able to astral project. Not every technique is meant for you. The process, undoubtedly, requires a lot of patience, practice and experimentation until you find the method that is best suited for you. You have to prepare your mind and body before you begin your travel. You have to rid yourself of any inhibitions or worries about your outside, physical world and focus only on reaching a state of hypnosis without losing consciousness. Visualization and imagination is the key to successful astral travel. *Know* that you are travelling. You have to be motivated and enthusiastic enough to be able to develop the mental energy to travel and not fall asleep. If you are worried about how you should get back after an out of body experience or an astral projection, you shouldn’t be because no matter where you wander the crux of the process is your astral travel is still limited and that you are still connected to your physical body. For instance, if you are interrupted by the doorbell or the alarm clock or any other physical needs, you will automatically be pulled back to waking up. You might also wake before achieving your travel successfully if your fear overpowers you. Over time, the concept of astral projection has gained a lot of attention. Practitioners of astral projection have devised a number of advanced techniques and mechanisms to be able to astral project. Although, it is true that a number of people are still skeptical about the purpose and the very concept of astral projection or astral travel since there has never been any physical evidence – it is subjective and is only ever known to an individual who has been able to astral project – many psychics believe that there are numerous ways in which astral projection can prove to be beneficial for people who have a spiritual inclination and approach towards the way of life and that these benefits are far beyond our intellect and understanding. It is believed that astral projection is an art that may aid self-awareness and spiritual growth. One other benefit of astral projection or astral travel is that it may reduce the fear of death. How exactly? When your soul or your astral body leaves your physical body, your fear of death reduces since you are provided with proof of what lies beyond life and death. People also believe that once you have got a grip on the process, it helps you acquire the knowledge contained in your subconscious mind and explore the universe. Astral projection or astral travel is, indeed, an extremely intriguing concept and appeals greatly to people who are spiritually inclined and intend on exploring their inner selves as more than just matter. Before attempting any kind of astral travel of astral projection, one should be aware of not only the pros but also the cons and get as much information as possible to carry out the process in a way that suits them best. This Is The Lie We All Live! Watch this!